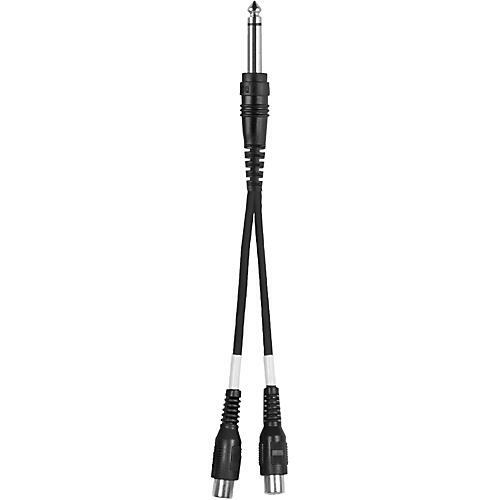 Livewire Essential Y-Adapter 1/4" TS to RCA Female Black 6 in. 1/4" TS to dual RCS female. Plug stereo RCA outputs into mono 1/4" inputs. Reliable connectivity between cables and audio components. Lifetime guarantee.